The trip to Milan was in late October, so it took me quite a while, but I’ve just added a new portfolio to my web-gallery: Milan, Italy. I had about 18 good images, but decided to go with 12. 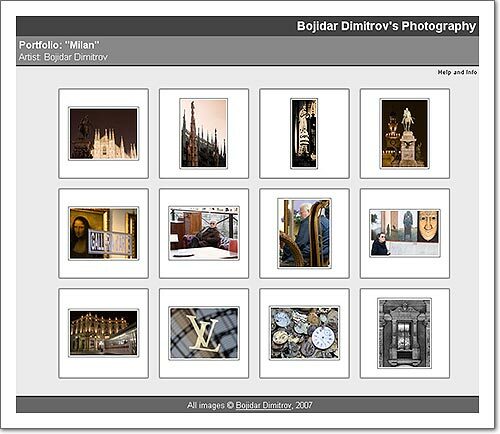 Am I right in thinking that a portfolio should not contain too many images? It seems to me, more than 12 images and the “art” turns into a travel-guide.